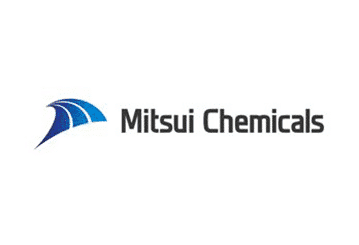 Mitsui Chemicals was founded in 1997 and is headquartered in Minato, Tokyo. This chemical company runs a global operation with business units in Japan, China, South East Asia, Europe and the U.S, and employs an estimated 14,271 people around the world. It is primarily engaged in petrochemicals, basic chemicals, performance materials and polymeric materials. The company is also in the process of establishing a base of operations for polypropylene in India. Mitsui spells out its grand design in its mission statement which incorporates its corporate vision, action guidelines and business plan, and is focused on resolving challenges and social issues via sustainability operations. The President and Chief Executive Officer of Mitsui Chemicals, Inc is Tsutomu Tannowa. The company operates six business groups including: Films/Sheets, Petrochemicals, Basic Chemicals, Polyurethane, Functional Polymeric Materials and Functional Chemicals. The company operates six domestic manufacturing sites including Omuta Works, Iwakuni-Ohtake Works, Nagoya Works, Osaka Works, Kashima Works and Ichikara Works. 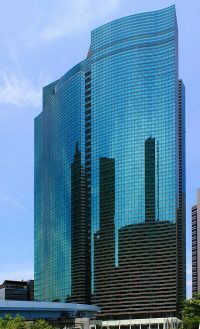 It is a public company, listed on the Tokyo Stock Exchange (TSE), and members of the Board include the President and CEO, Executive Vice President, Senior Managing Executive Officer, Member of the Board, Managing Executive Officer, Member of the Board, and a Corporate Auditor. The corporate governance structure also includes Executive Officers and Executive Advisors. Mitsui Chemicals offers a wide range of products including automotive materials, packaging materials, electronics and information materials; and life, environment and energy materials. The product range spans items including Acetone, AdBlue, APEL, BARIASTAR, CHEMIPEARL, DL-serine, Ethylene, FTR, Hi-Wax, Icemelter, Koromite, LENATOP, Melamine, MILASTOMER, NEO-ZEX, Opulent, PLGA, Sodium sulphite, SWP, TAKENATE, Urea, and Xylenes. This corporation is focused on developing environmentally-friendly vehicles with recyclable parts. In the IT industry, the company works to meet the requirements of the dynamic digital appliance sector with high-performance products and next generation material. Mitsui provides user-friendly, environmentally friendly and convenient methods of packaging materials. With respect to life, environment and energy materials, it endeavors to provide attractive, safe and convenient products with an eye on limiting the harmful effects of products worldwide. Mitsui Chemicals has made it a priority to promote sustainability in all of its business units, chemical processes and operations. The company focuses on five key areas of social contribution, including: Happiness and Fulfillment of Employees, Contributions to Local Communities, Adding Shareholder Value, Increased Customer Satisfaction and Promoting Well-Being. Corporate social responsibility lies at the heart of the company’s strategic objectives, and the sustainable development model of the MCI Group includes cohesion between the environment, the economy and society. The performance data of the company is measured by the success it achieves in respect of the aforementioned relationships. By saving energy and reducing the impact on the environment, the MCI Group positions itself as a credible and trustworthy company. Environmental preservation, chemical management, CSR in the MCI Group and process safety and disaster prevention are key areas where the company focuses its performance criteria.